When Joshua, an air force war veteran, had to move to from Lousiana to Los Angeles, he had to leave his two Pit Bulls behind. Panda and Mama were put in the care of volunteers Tia and Mariah and he asked if they could drive the dogs to him in L.A. It was nearly two months since his dogs were away and they hardly would eat because they were lonely without their owner Joshua. When Mariah arrives at the park with both dogs, Joshua soon arrives also and he is reunited again with his dogs and it was an emotional time for both Tia and Joshua. It can be very difficult for war veterans to adapt into a civilian life again and for Joshua, his dogs are what helped him cope with being back from Afghanistan. Please share this emotional story of a war veteran being reunited with his dogs with your friends and family. 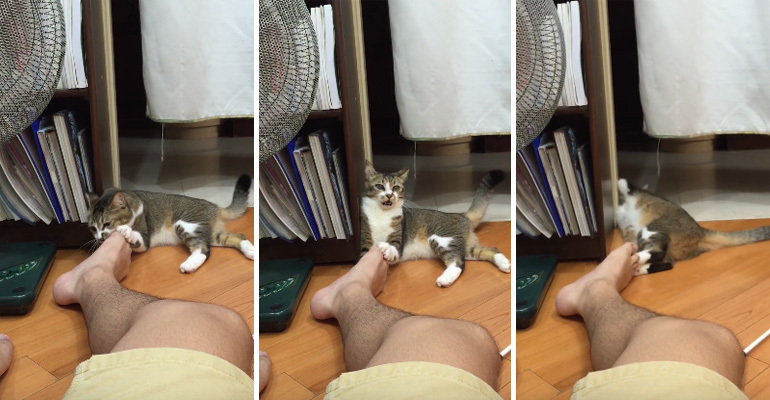 This Cat Unfortunately Smelled His Human’s Feet. His Reaction Is the Funniest Thing Ever! 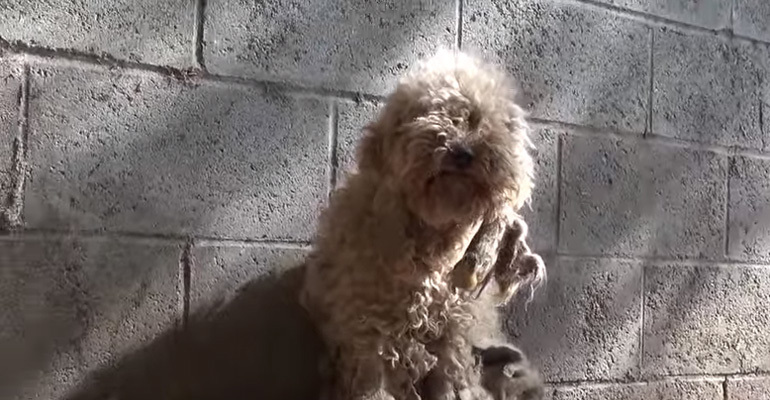 Rescuers Found a Homeless Poodle Hiding in Fear. 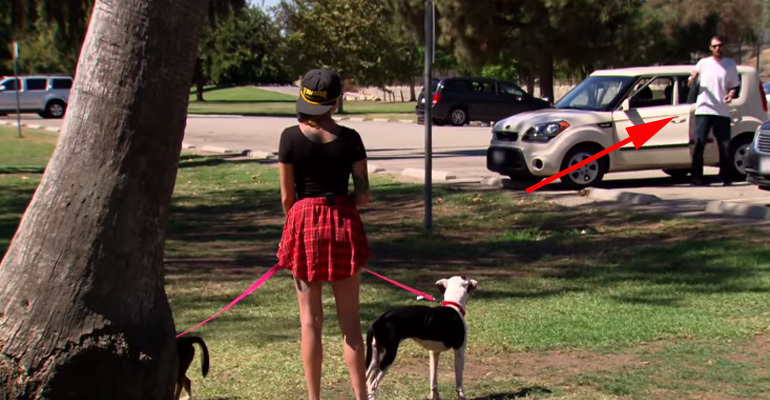 Watch Her Reaction as They Get Her into the Car. 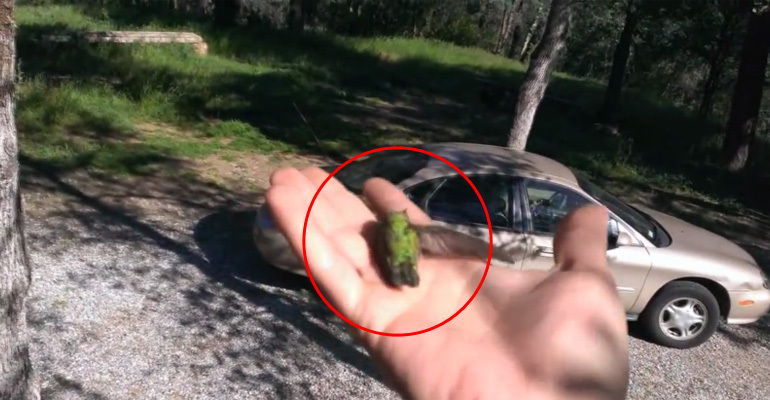 He Picked Up a Lifeless Hummingbird but Didn’t Give Up Hope. What Happened Next Brought Tears to My Eyes.